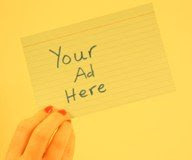 Occasionally, companies send us their products to try and if we're interested we say yes. Here are three we tried recently that we thought we'd share with you. 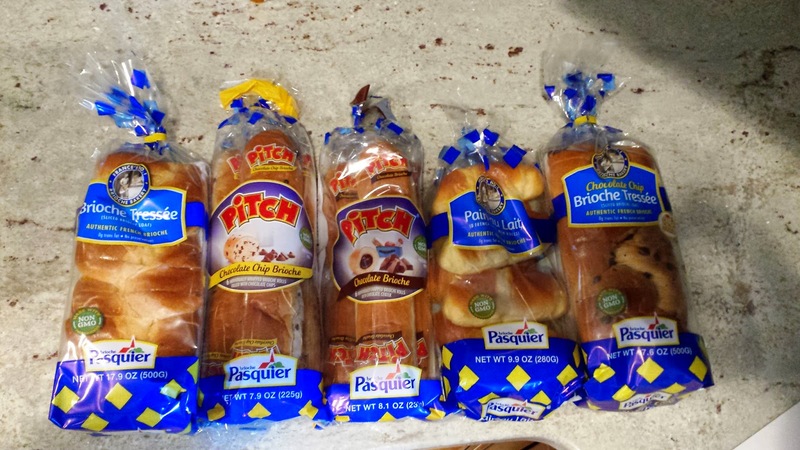 Brioche Pasquier sent over five varieties of their brioche. If you're not familiar with it, brioche is a sweet milk bread, and it is so soft and easy to eat (easy to eat more than one piece at a sitting!). So far we've eaten through all the rolls (called Pitch), which came with either chocolate chips or chocolate inside. The kids loved taking these on the go as their breakfast (not much nutritional content but they have no preservatives or transfats). We'll start next on the loaves, which would also make great French toast - though I'm not sure I want to cook it up. This French bakery has baking facilities in Richmond, CA and sells their products at Mollie Stone's, Draeger's, Lunardi's and Oliver's Market. Mox shoes sent us a pair of their all-rubber shoes. These reminded me of the jelly shoes of my youth. Do you remember those? I had them in all kinds of colors and styles. 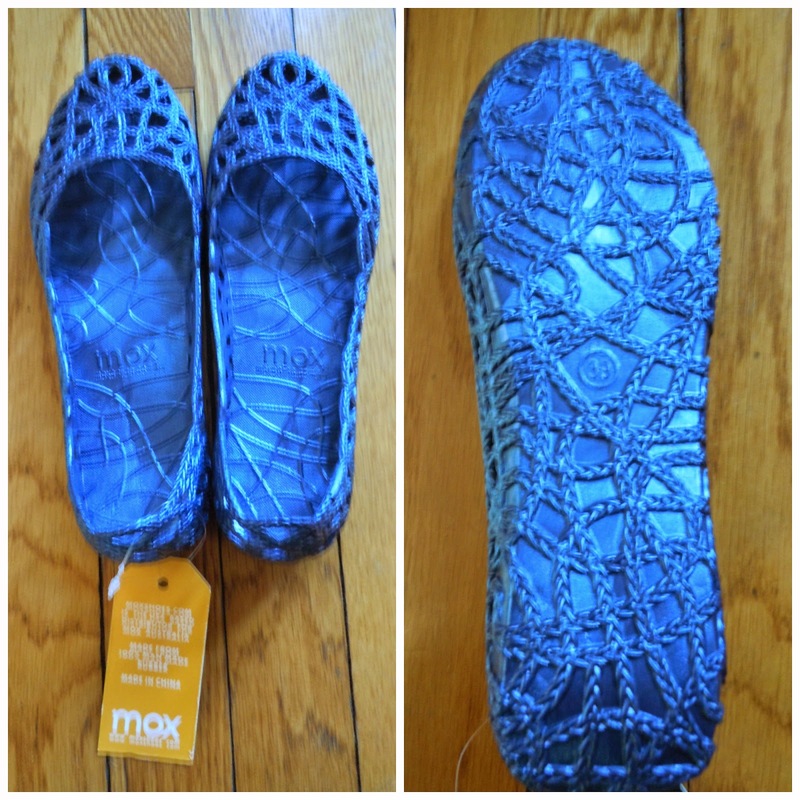 These Mox shoes are rubber, though, not plastic. Mox started in Australia, and their U.S. distributor is based in the Bay Area. They sell one product in a variety of colors. I took my shoes with me over Spring Break to Arizona, and only brought these and sneakers. They are lightweight and pack down without taking up much room. They very easily go into wet environments like the pool, and I wore them also with shorts and with a casual dress. They were comfortable. My only issue was that I had to make sure my toe nails were clipped well, so they didn't catch in the openings. Mox shoes come packaged in a cute little string bag instead of a clumsy box. You can use the string bag for something else (though I haven't figured out what yet - maybe to carry groceries or a bathing suit/towel?). They run $39.99 with free shipping and you can get them online. When someone offers me sweets, it's hard to turn down. These burnt toast caramels by Chocolate Twist out of Chicago, were delicious. I had to wait until after Passover to try them, since they do actually contain burnt toast crumbs on top of the sea salt caramels. I'm so glad that my husband doesn't like caramels, because that means I get to eat the whole bag myself. Shhhhh. Don't tell my kids. A bag of these are $12 and they ship via Food52 with other fun flavors like rosemary lemon and basil lemon caramels and some other chocolate candies like mint grapefruit and peanut butter pretzel packs. Artizone has a good selection too, including the soy balsamic caramel sauce. I have to try some of these!